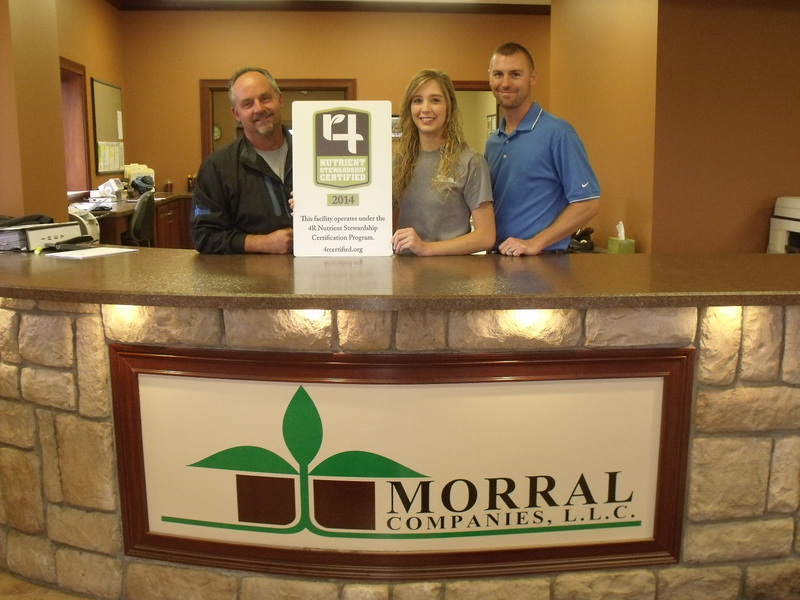 COLUMBUS, Ohio (Oct. 13, 2014) – The 4R Nutrient Stewardship Certification Program has announced that the Morral Companies’ Caledonia, Ohio facility has been added to its growing list of nutrient service providers to achieve certified status. With a 24/7 liquid load-out system at its main plant in Morral and an 11,000 ton dry fertilizer warehouse at Caledonia, Morral Companies has become one of the nation’s largest formulators and manufacturers of liquid fertilizer. The company serves farmers and professionals in the agricultural and lawn/garden industries. Other services include soil analysis, custom application and retail seed sales. MEDIA: Download a high resolution photo of the Morral Companies’ Caledonia facility receiving its 4R Nutrient Stewardship Certified sign.